7 Tips for a healthier Thanksgiving! 7 Survival Tips for a Healthier Thanksgiving! The holiday season is here! You be aware already that the average weight gain over the holiday season about 1 pound but for many of us, this little bit of weight gain may stay on in the new year and lead to a creep up of extra weight after several years. But never fear, help is on the way with Holiday Survival Tips Your Way! So between now and the new year, I will be sharing some easy and tasty ideas to enjoy your holidays and maybe even eat a little healthier! 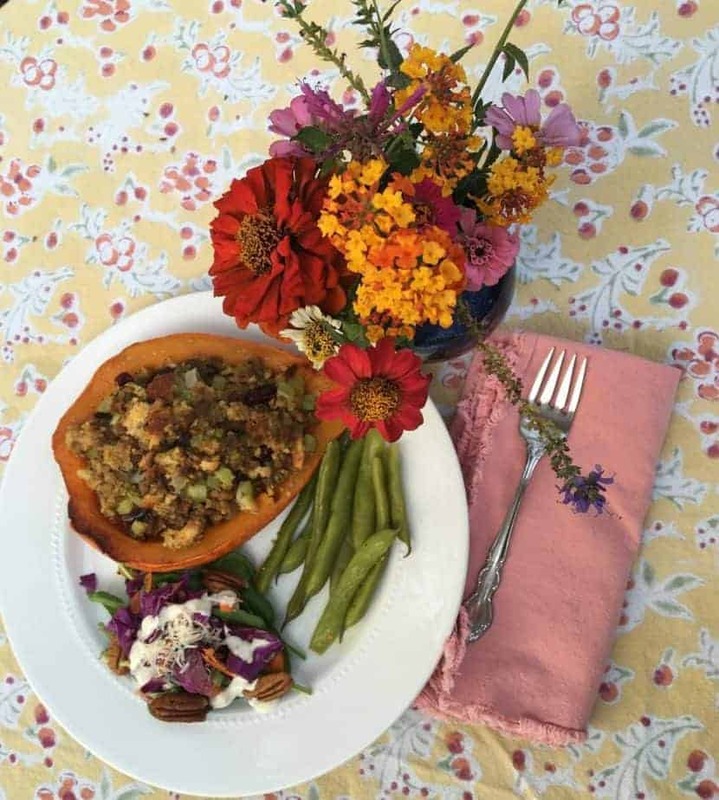 Today, I am sharing a Thanksgiving menu created for a celebration for one or two people. It is simple with just a few foods and may not fit your family’s holiday needs but I am finding more people wanting smaller celebration ideas because families are becoming smaller, family composition is changing and some families are spread further apart so some celebrations have scaled back on the amount and number of items fixed. No matter how intimate the company or the amount of foods served, the decorations and the delicious food, people and gratitude of the season make Thanksgiving special. It you are planning a bigger celebration, you might want to check out the previous posts that I shared for last Thanksgiving. It is hard to believe that Thanksgiving is already upon us! Here are a few suggestions that I hope can add to your celebration! Plan Ahead Have an idea what you are going to have ahead of time so you get a visual of what your plate will look like whether you prepare the meal, go to a friend’s or family member’s house or go to a restaurant. What does a healthy balance of protein, vegetables, fruit and grains look like? Budget Ahead By eating a little less a few days before the big event and after, you can work in a bigger meal. You can also help budget by exercising a little more. But don’t over do it on budgeting or the size of the “big meal”. Be reasonable and listen to your body’s hunger and fullness cues and don’t over exercise. Know the correct portion sizes for your meals This can begin by knowing what a healthy portion size looks like for your energy needs. For example here are some average portion sizes (yours may be different) a serving of meat is 3 ounces, a serving of potatoes or stuffing is 1/2 cup, a serving of gravy is about a 1 tablespoon, a serving of dessert is a sliver. 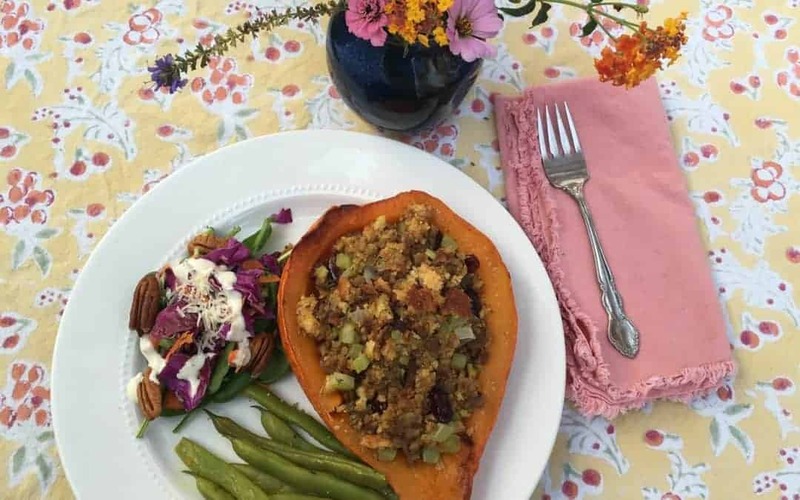 Load Up the Veggies Filling half the plate as vegetables can help fill you up and save calories depending on what has been added to them like nuts, oils, creams or cheese. Lighten- Up Traditional recipes can be modified to make a little healthier without losing the flavor and texture. Take care not to make every change at once. Start slow with one change at a time and remember some of your favorite baked goods may not be able to be modified from your home recipe but there may be some great versions out there to try. Here are a few suggestions: Try low fat milk instead a higher fat option. Cut oil in cakes in half by adding applesauce in it’s place. Use Canadian bacon, turkey or veggie bacon instead of pork version. Cut egg yolks in half and add two whites to one egg white. Try cheese made with 2 % milk. Cut nuts from recipe in half. Try low fat yogurt instead of sour cream. Try light mayonnaise instead of full fat. Move About the House One of our favorite holiday traditions is taking a walk after our Thanksgiving meal. If you have folks in your family who like to sit and watch the football game, get in there and have them do little things to burn off that energy during the commercials and half time! Don’t Celebrate Thanksgiving for 6 more weeks! Remember the holidays are just a few days during the season not everyday between now and January 1st! In between the special days move more and budget those calories! Here is my simple menu idea. 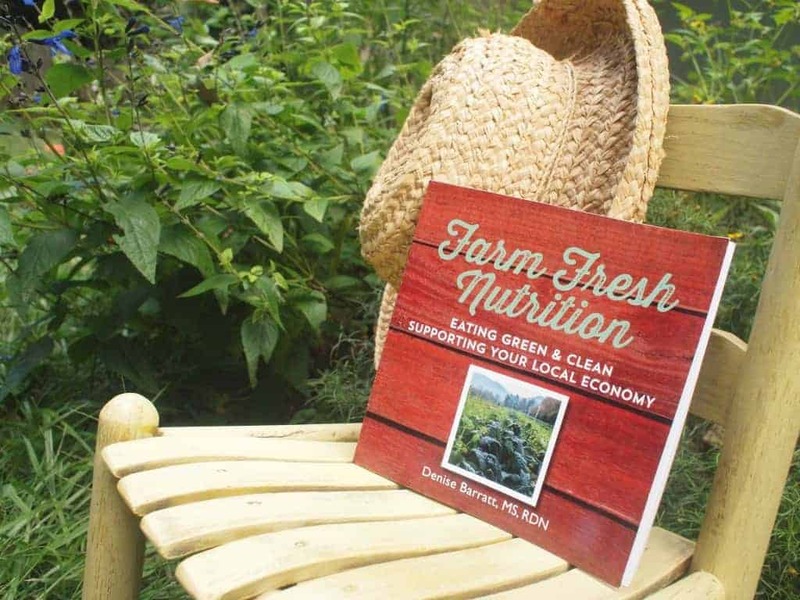 It uses local food from farmers’ markets for a great celebration! Go Wild This Holiday Season! Festive Wild Blueberry Sangria! 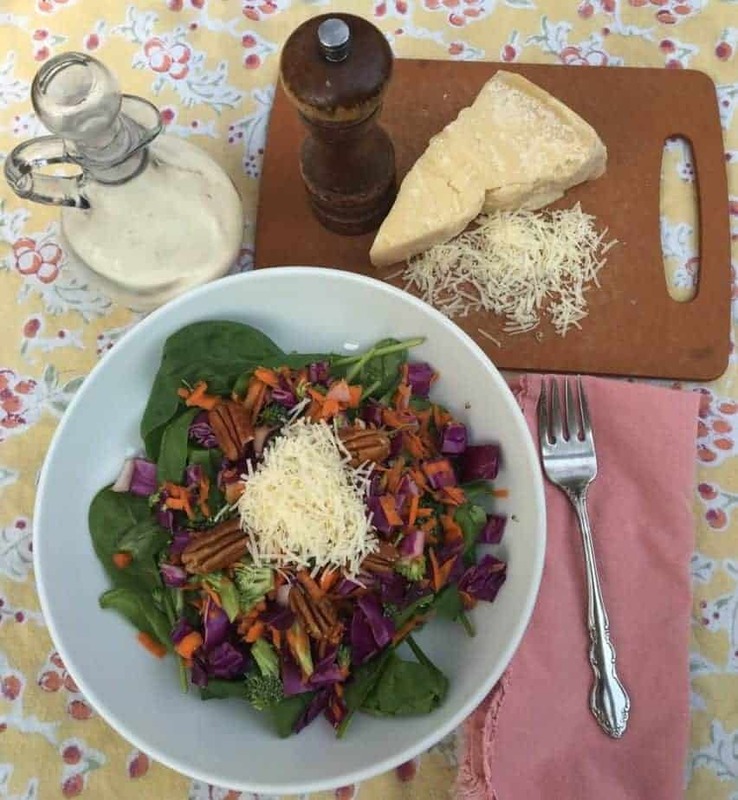 This salad offers the best of the season with the purple of the cabbage, the orange of the carrots and the green of the broccoli and the spinach. The toasted pecans and the Creamy Parmesan Dressing are just the icing on top! In a medium bowl mix the ingredients and then carefully add to your cruet. (I used a funnel to keep my cruet looking neat). 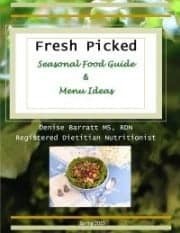 You may also be interested in trying some of these festive salads with your holiday meals, check them out! The goal of this recipe is to include the pumpkin, the stuffing and the cranberries in one recipe! Feel free to have it when you don’t have Thanksgiving. I used vegetarian sausage to stuff these to provide plenty of protein. Preheat oven to 425 degrees. Cut the red kuri squash down the middle so there will be two pieces where it can be stuffed. Place on cookie sheet face down and back about 30 minutes. Take the squash out and allow to cool and few minutes and then flip over so the inside of the squash is facing you. Turn down heat to 350 degrees. Cook sausage in a small amount of tub margarine or oil to brown and crumble. In a medium sauce pan, Heat margarine or oil in a sauce pan and cook onions and celery until brown. Heat broth in a small cup in the microwave for 30 seconds and add cranberries in cup to allow to plump. After the veggies have browned add stuffing mix, broth and cranberries and allow to moisten. Add the sausage to the stuffing and add to the hollow of the squash and bake an additional 20-25 minutes. Place everything in a medium sauce pan and steam until desired texture. Sprinkle fresh herbs in desired. As a registered dietitian nutritionist, I love to make my client’s lives healthier and easier! I hope you enjoy these holiday survival tips these next few weeks and if you are new to the Vine Ripe Nutrition blog, welcome! 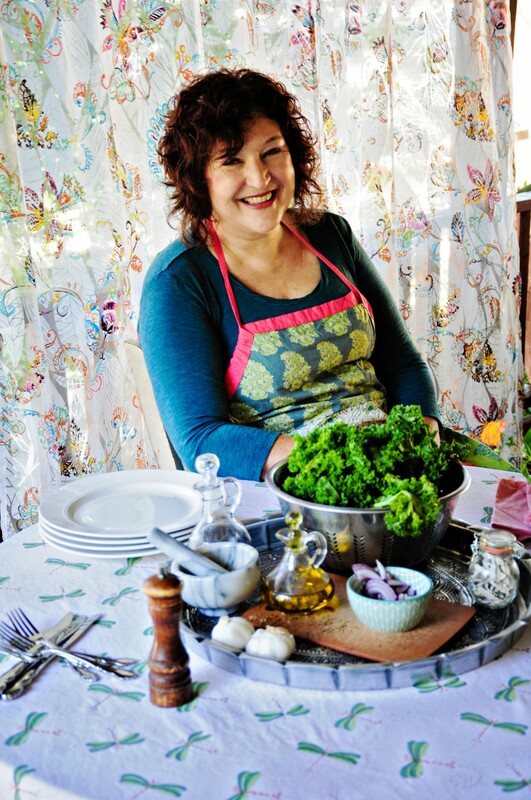 Sign up for the blog and newsletter to not miss a single bit of tasty, goodness! In addition to healthy eating tips, this holiday season, I am so excited to partner with Specialized Physical Therapy ! This week, their personal trainer, Michelle Kuehn, has some words of wisdom on physical activity this holiday season with some suggestions for stretches that you can do before you take that after Thanksgiving walk! Planning to go walking this holiday season? 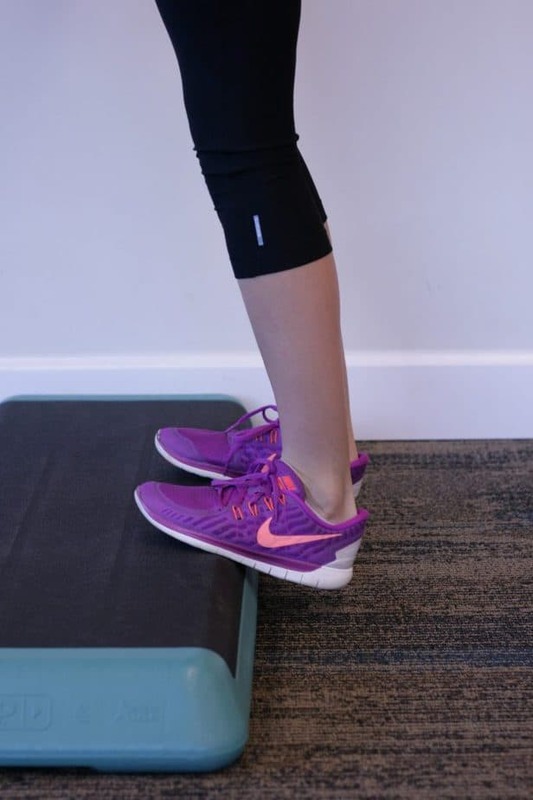 Find a curb or small step to do this simple exercise to stretch and strengthen your lower legs. Start with heels lowered and raise heels to end on your toes. 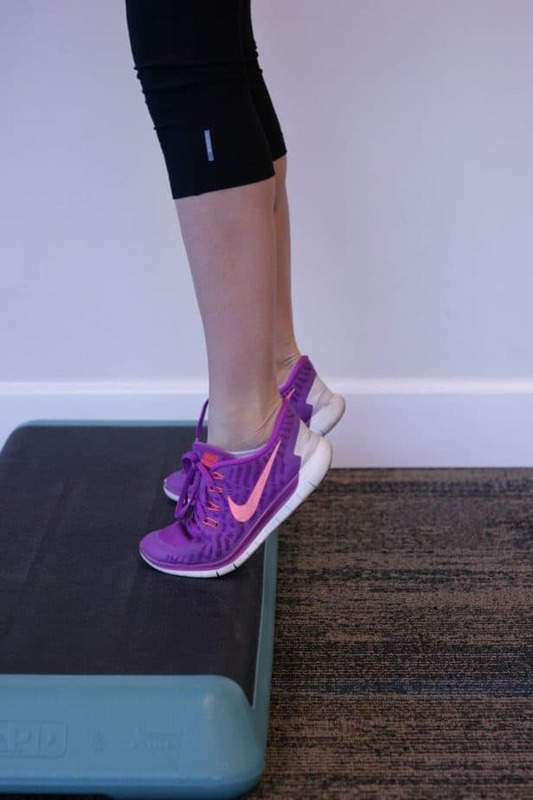 Challenge yourself by balancing on your toes for a few seconds. Or to modify, hold onto a friend, family member, or railing for added stability. Repeat single or double leg 10-15 times.